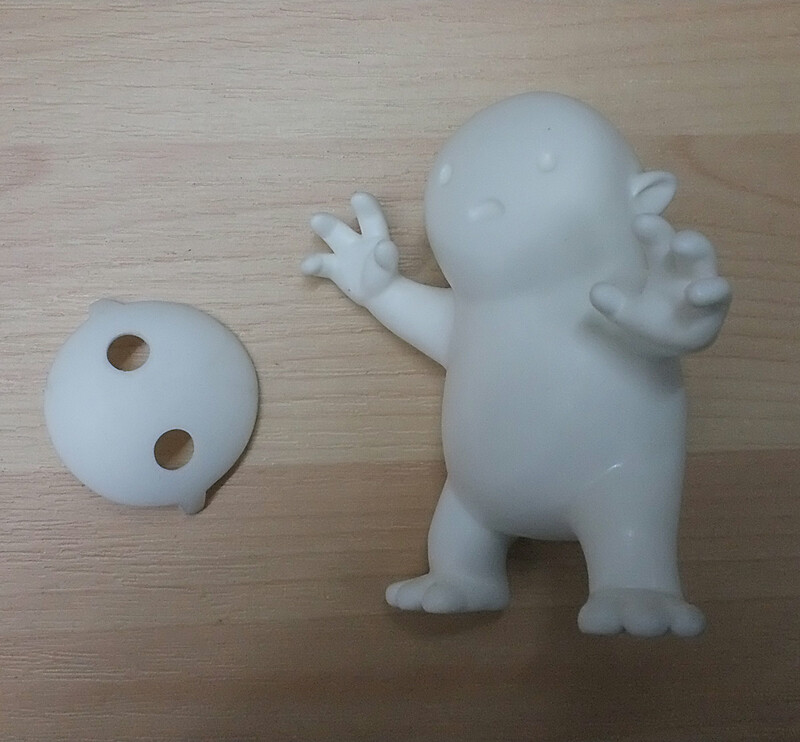 Sam Costidell (Angry Hedgehog Toys) produces beautifully finished pieces and his blank Boo figure is no exception. 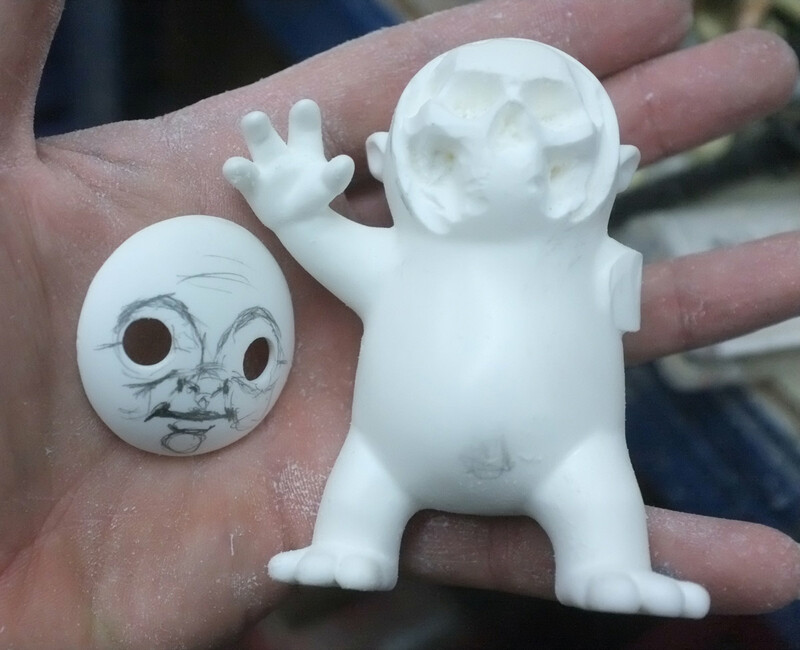 It almost seems a crime to deface the perfectly finished casting. 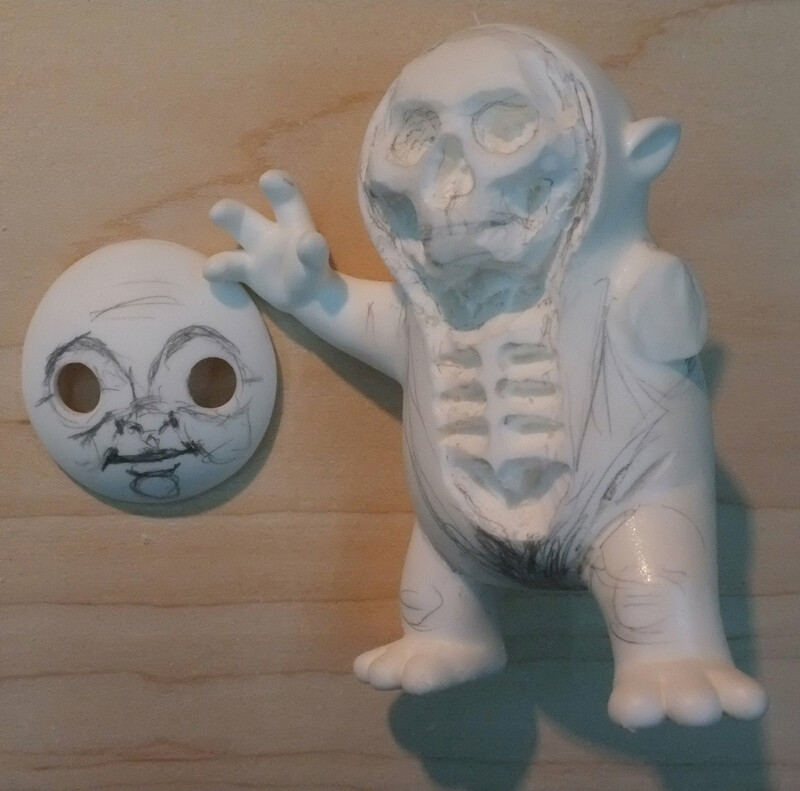 However, since Sam had invited me to be part of his custom show at ToyCon 2018, in association with Martian Toys, I set to work butchering it. 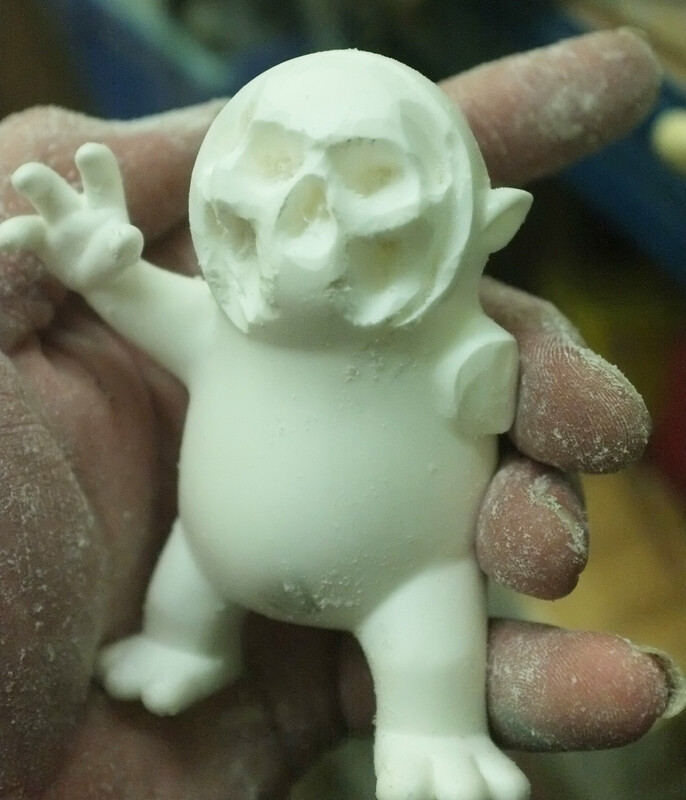 I removed one arm to allow for repositioning it and started carving a rough form into the resin. 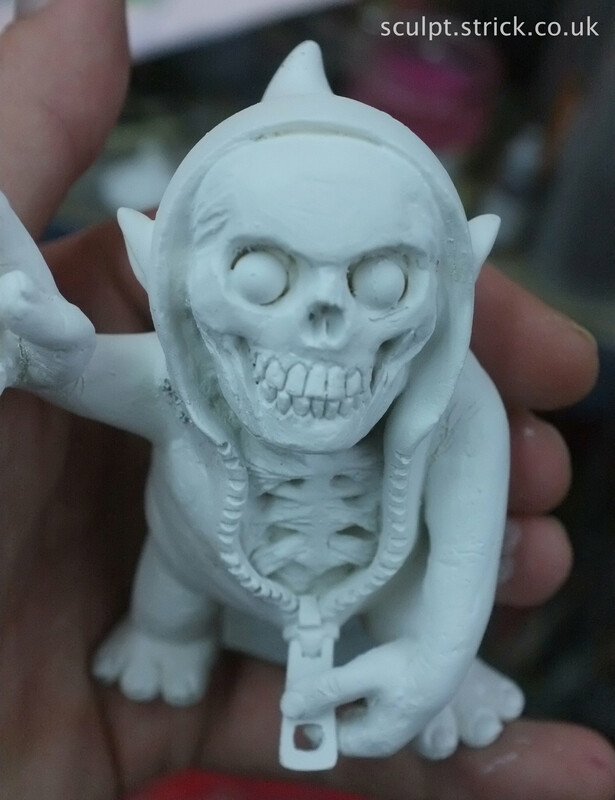 Once I was happy with the basic form, I added detailing in Milliput. 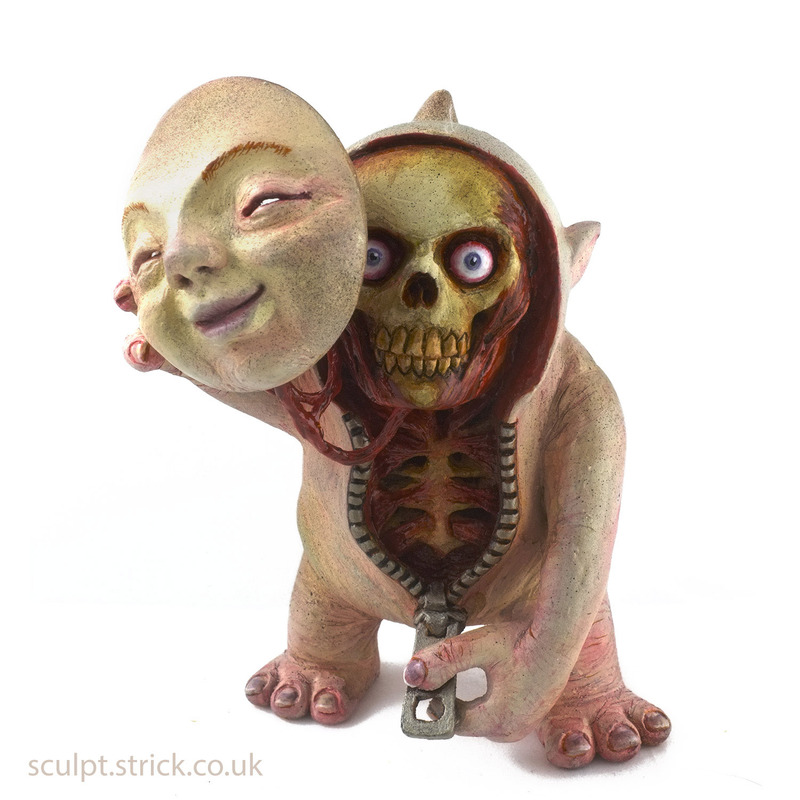 The completed sculpt was painted with acrylic paints, trying to acheive a realistic skin finish.